Vancouver, British Columbia--(Newsfile Corp. - February 11, 2019) - Carl Data Solutions Inc. (CSE: CRL) (FSE: 7C5) (OTCQB: CDTAF) ("Carl Data" or the "Company"), is pleased to announce that Cale Thomas, MBA has been appointed as CFO of the company. Thomas replaces Alastair Brownlow who has served as CFO since June 21, 2017, and has remained as Controller. Thomas has over 12 years of experience as a director and an officer in Canadian and U.S. venture companies, and was a director and CFO of Carl Data during its early years. "Cale Thomas has a proven knack for helping manage and shape the financial profile of companies," said Greg Johnston. "With our continued growth in new verticals, Thomas will be able to assist in maximizing the company's revenues from new products and pricing models." The company also announces that it has closed a non-brokered private placement (the "Offering") of unsecured debenture (the "Debentures") for total proceeds of $130,000. the principal amount may be prepaid by the Company, without penalty, on not less than ten (10) days' prior written notice by the Company and after delivery of such notice the Debentures may no longer be converted. The proceeds of the Offering are expected to be used for general operating expenses of the Company. None of the securities to be issued in the Offering will be registered under the United States securities Act of 1933, as amended (the "1933 Act"), and none of them may be offered or sold in the United States absent registration or an applicable exemption from the registration requirements of the 1933 Act. This press release shall not constitute an offer to sell or a solicitation of an offer to buy nor shall there be any sale of the securities in any state where such offer, solicitation, or sale would be unlawful. 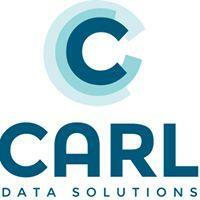 Carl Data continues to develop applications that extract value from new cloud-based mass storage services and machine learning (AI) analytics tools to provide the scalability needed to effectively monitor smart cities, utilities and other industrial verticals. This software suite saves clients time and money by amassing information from any sensor or source to create a real-time decision support system with deep insights into how to protect infrastructure and assets. More information can be found at www.CarlSolutions.com .